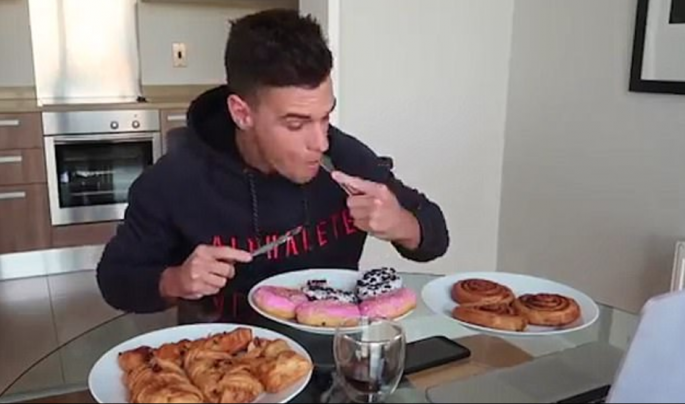 The average active adult male eats between 2,500 and 3,000 calories in a day, give or take a couple hundred. 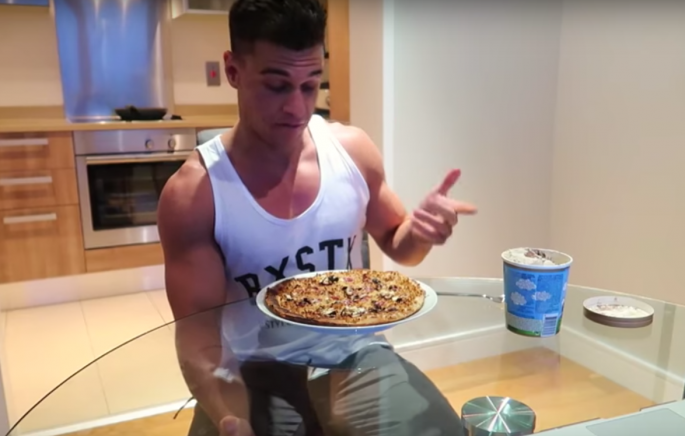 But twenty-five-year-old fitness vlogger Rob Lipsett wasn’t content with just being average at least for twenty-four hours. 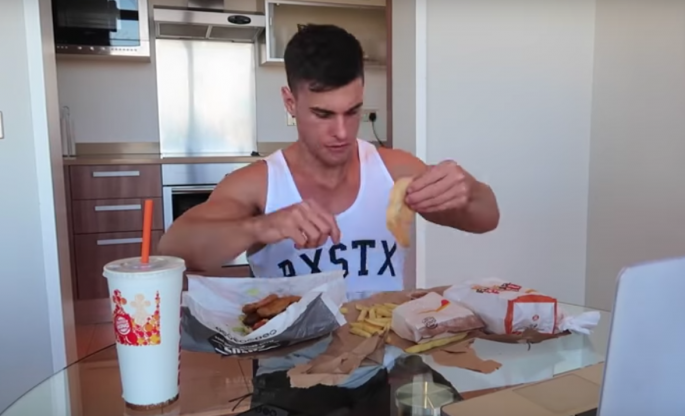 He challenged himself to eat 20,000 calories in a day, and taped the whole thing for posterity in a clip titled, “EPIC Cheat Day” that has already racked up more than one million views. Breakfast was basically diabetes on a plate withseven pastries and sixdoughnuts, not to mention an entire pot of maple syrup. How is that possible with all that maple syrup?!? After a light training session in the gym, Rob was ready for lunch, which he picked up from a nearby Burger King. This light bite consisted of a double Texas steakhouse burger, large fries, sixteenonion rings, and some BBQ dipping sauce. Speaking of dessert, that came in the form of an Oreo cheesecake, topped off withhalf a giant chocolate bar melted on top. For his next “snack,” he had more ice cream and a raspberry cheesecake pizza. How he’s not either in a coma or bouncing off the walls from all that sugar is beyond me, but he’s a trooper. 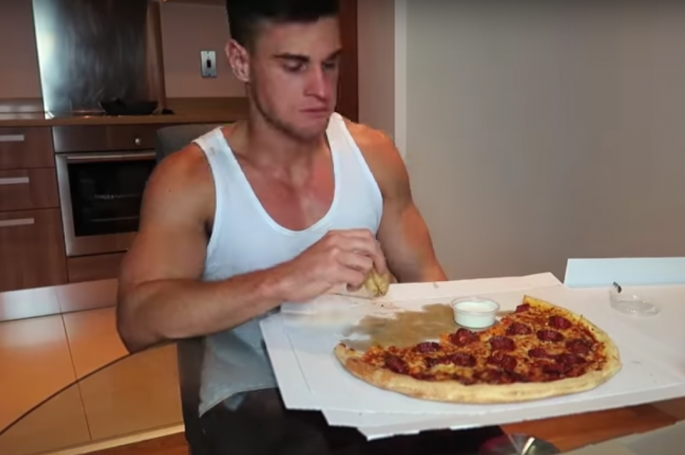 By 5.30 PM, Rob was ready for dinner, so phoned up a local takeaway to order a giant pizza.